Many of you who have been around the blog for a while know how nail obsessed I am. What most of you don't know is that I've been bit by the makeup bug over the last year. I've gone from the girl who only wears nudes to someone who likes to play around with color. I may not be wearing neon eyeshadow (yet), but I've learned that wearing a wide variety of color is quite freeing. It's somewhat similar to doing crazy nail art, so it's really no surprise that I find joy in makeup too. Today's post features a beautiful eyeshadow palette from Velvet59. The Rose Metals Palette consists of eight shimmery shades that are sure to delight. The palette is listed as a hybrid, meaning that the colors can be used as an eyeshadow, highlight, or blush. The best part? They are vegan, cruelty, paraben, and talc free. Isn't the packaging just gorgeous?! The cover inspired me to head out to my garden to cut some fresh roses for staging. I rarely cut flowers for the house, but this seemed like a great reason. 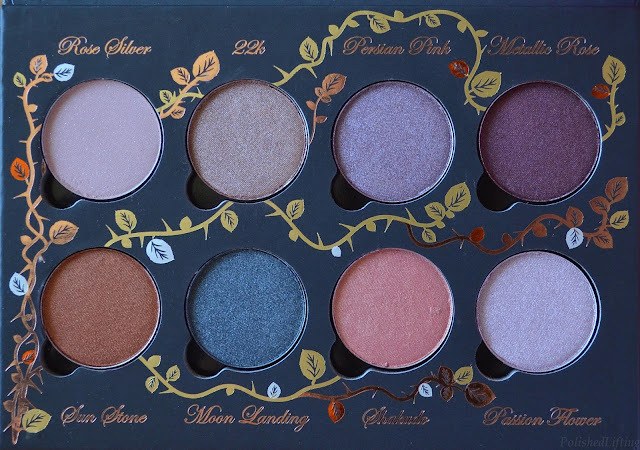 I love that the packaging theme continued to the inside of the palette. One thing I meant to photograph was the quote on the inside of the lid. The lid reads "Animals are a gift for us to take care of. Real beauty is cruelty free and starts from the inside. "- Paris Manning. I do my very best to shop cruelty free products, so I really appreciate that Velvet59 makes that part of their message. My swatches show a quick swipe of my finger over each pot and then transferred to my arm. These swatches were photographed in natural light on an overcast day. I know they are far less glamorous than studio lighting, but I feel like it's really important to see makeup in everyday, natural lighting. While I wish I could hang out with a ring light all day, that's not terribly realistic. For this look I used Velvet59 Rose Silver, Metallic Rose, and Moon Landing. The eyeliner is Clio Kill Black, and the mascara is Makeup Forever Smoky Extravagant. 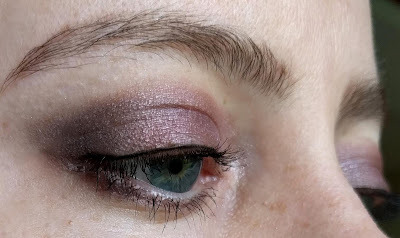 I'm unsure what primer I used for this look. It was either Urban Decay Primer Potion or Lorac Behind the Scenes. Overall I liked this palette. It has a pretty range of colors that blend quite easily. 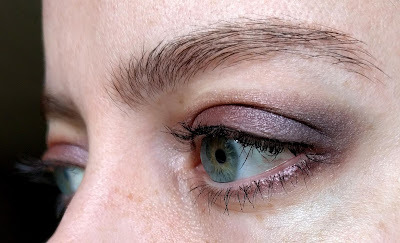 There were a couple of shades that were more sheer than I would normally wear (Rose Silver and Passion Flower), but I think they would make great highlights. I definitely think this is worth the $45 price tag. 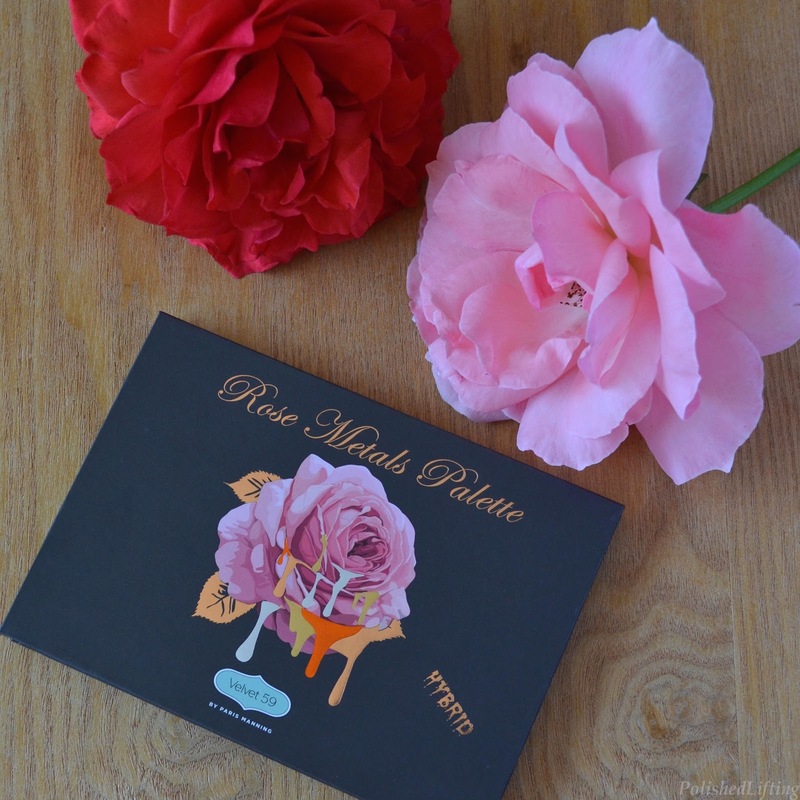 If you would like to purchase the Velvet59 Rose Metals Palette you can find it listed on their website below.